You are here: Virgin Islands News Online » News » Belle Vue Gym’s power disconnected! Belle Vue Gym’s power disconnected! BELLE VUE, Tortola, VI – The Belle Vue Gym has been without power for the past two weeks and this news site has been able to confirm that the lights were disconnected because non-payment of the electricity bill. We have spoken to Representative of the Sixth District Honourable Alvera Maduro-Caines today July 15, 2015 who said that the power was indeed disconnected. However she directed this news site to seek answers from the Chairman of the Recreation Trust Roy N. Barry. “Yes. I’ve heard so,” she confirmed when asked whether the power had indeed been cut from the sports facility in her district. She however said that she knew nothing of the arrangements to restore the power. “It is an issue of concern as the guys have complained to me about it,” she said. “But it is under the Recreation Trust so they will have to [address it],” she said. When we contacted Barry, he confirmed with this news site today that they are working to clear the bill so that the power could be reconnected. “Yes. They have been disconnected. That’s what it is,” said the source. “We are trying to find the money to pay. Once we get that in place then it will be fine,” he said. However he asked why it is that we were pursuing the story and threatened legal action if we quoted him on it. "Why do you need to run that?" he asked our reporter during the telephone interview. "Don't put my name in your paper please, alright? And if I see it there my lawyers will be writing to you," said Barry. 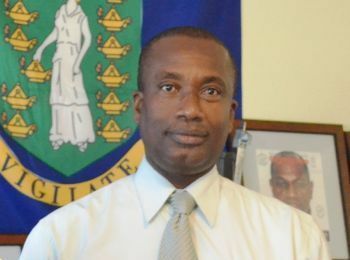 Efforts to reach an official of the BVI Electricity Corporation were futile. A CRYING SHAME. THEY ARE NOT PAYING NONE OF THEIR BILLS FOR A LONG TIME NOW. THAT IS HOW THEY CARE ABOUT THE YOUTHS. CAINES PAY THE IGHT BILLS! The problem with this place is that you keep seeing the same people in position of power over and over either if they are competent or not and you get the same results same people over and over. But more disturbing who is paying for this shortfall when Gov does not pay who makes up the difference. They rode the back of the youth AGAIN to get reelected and AGAIN as soon as they get in they turn there backs on the youth. ok Jacko..who turn their backs on the youths? The rep does not have money to deal with these matters. Government need to pay their bills...its not only Belle Vue cut..all of the facilities got dis-connected..
Who is paying for the lights to stay on all night, all week, every night at the field in Capoons Bay?? The lights in Capoons Bay are not left on all night, all week, every night, when the field or court is in use the lights are on, when the people are finished the lights are turned off. The lights in that area were cut also recently. Why didn't Barry want the story run? Sweep it under the rug politics. No Access in town or country. I guess they want them to go to Cline's gym but that is not a real court. Myron is the minister for sports why has every sport lost their lights since he has been in charge? "Don't put my name in your paper please, alright? And if I see it there my lawyers will be writing to you," said Barry. roy has turn out to be a big digrace! Where is the photo minister? I don't think any facility should run all night. They should all have a start and stop time. Some of those sports that use the multipurpose complex like badminton should seek refuge at smaller facilities. This might help to alleviate situations like these in the future. barry move your backside and go sit down, you think is your lawyer along can write, you only shame because the electricity get cut off under your watch, i hope you know that VINO don't scared of nobody as long as they report accurately. He still was quoted about not wanting to be quoted lolol! Guess he never read the Information Act.